Nearing completion on this MINT NEW CONSTRUCTION! Custom-built by JEDA Homes. 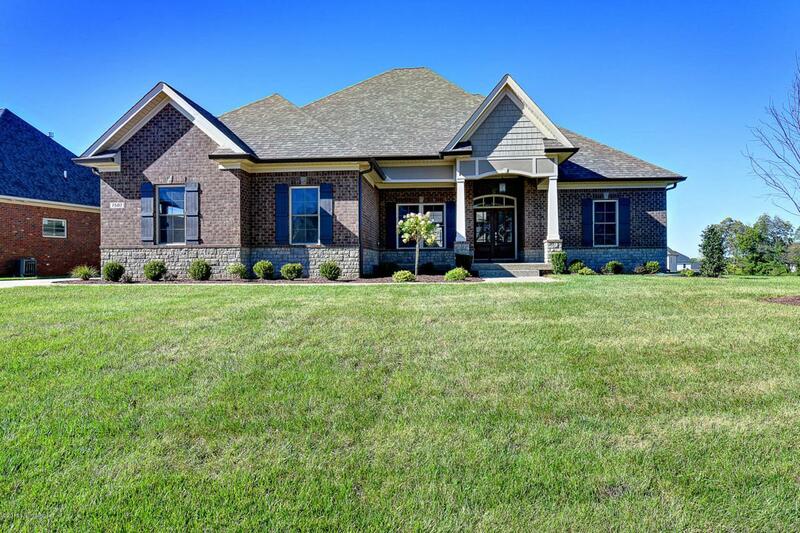 Construction is nearing completion on this stunning Craftsman's style ranch with large front porch, open morning-shaded back deck and 2 car garage on a gorgeous lot in Brentwood Subdivision located a the end of Spring Hill Trace in Crestwood. 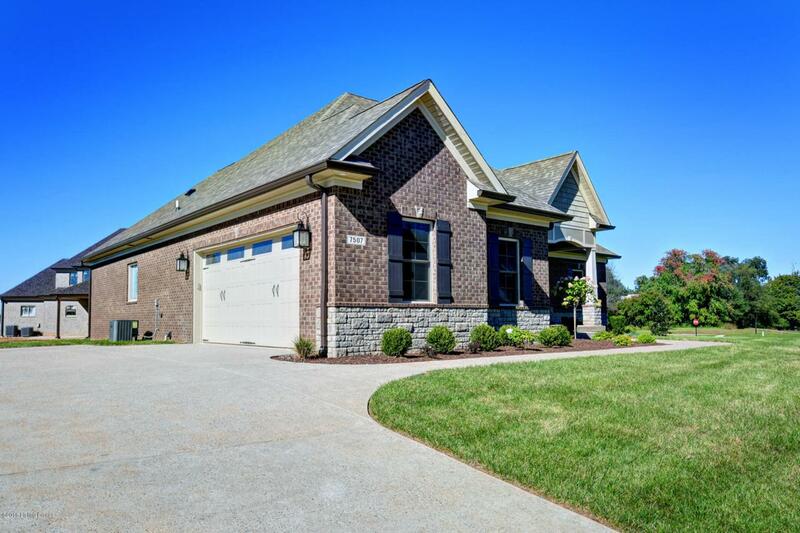 CALL AGENT for directions to this new, beautiful clubhouse community featuring a swimming pool, tennis courts and expansive green-space, all in the sought-after Oldham Co School District! Inside you'll find a trey-ceiling foyer, crown molding, hardwoods & furniture-style cabinets throughout this exceptional open home. 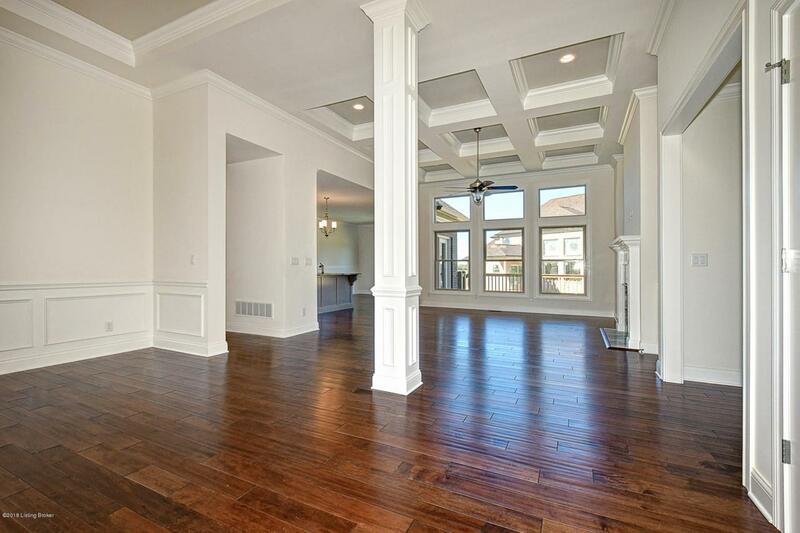 You'll appreciate the large, open dining room with trey ceiling, crown molding & wainscoting. The eat-in chef's kitchen boasts high-endstainless-steel appliances, gas cook-top, soft-closed cabinets, and an enormous granite island with rustic finish. 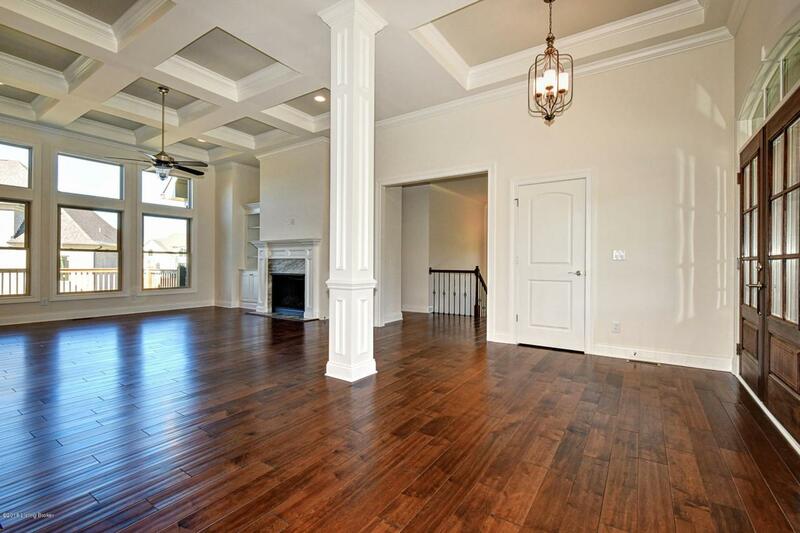 The great room is light & airy with custom windows, coffered ceilings, and an impressive gas fireplace with built-ins. The hip vaulted ceiling with rope lighting showcases a large master with en suite. Master bath features a large walk-in shower, his and her vanities with granite, an over-sized hand-tiled jetted tub, and large owners closet. Conveniently located just outside the master, you'll find a laundry room with upper cabinets. A custom built-in cubby just inside the garage door fits perfectly! This split-bedroom design rounds out with two additional bedrooms, and a 2nd full bath. The entrance to the lower level is open & inviting with wrought iron spindles and hardwoods. The lower level is ready to be finished with 9ft. ceilings, 4 day-light windows and plumbed for future bath. An upgraded light package, crown molding, and hardwoods throughout make this home a MUST SEE!